Unlike the “I want” song and the love song, the villain song hasn’t really been a stable of the movies before the Disney Renaissance. For two reasons. One, a lot of the early Disney movies didn’t even have a proper villain, but instead a string of antagonists or a more abstract kind of evil. And two, in the early days Disney preferred the more menacing villains less flamboyant. It is hart to imagine the Evil Queen or Maleficent prancing around, singing about the devil deeds they plan to do. Or the Coachman doing a little jig with his donkeys. 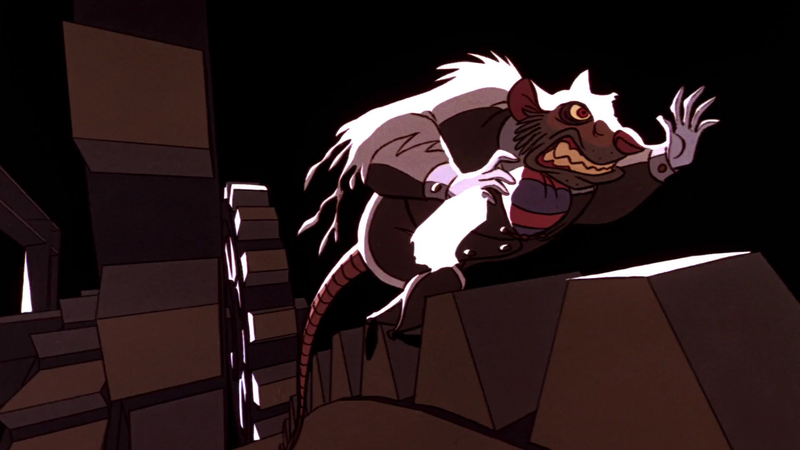 If one examines the villain songs up to the late 1980s, one can see how the concept developed – as well as the concept of a Disney Villain. 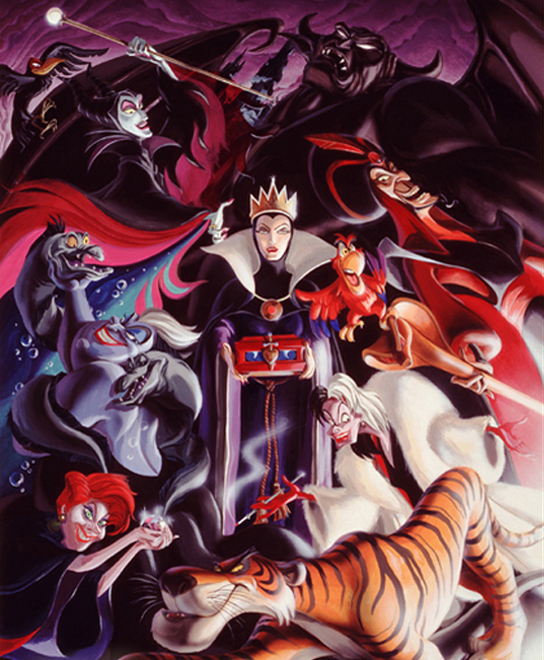 In the golden era, the Evil Queen is the only “true” Disney villain featured – meaning a villain who is pinned specifically against the protagonist. All the other movies either use a more abstract as villain like “Man” (Bambi) or the society in general (Dumbo), or they have multiple character’s which serve as antogonist’s but are not pinned against the protagonist specifically (Pinocchio). Sine the Evil Queen doesn’t sing, Fowlfellow’s “Hi-Diddle-Dee-Dee” is the sole villain song from the era – if you can call it that. It’s more about convincing Pinoccio of something than about Fowlfellow himself, and it is more a fun than a menacing song. 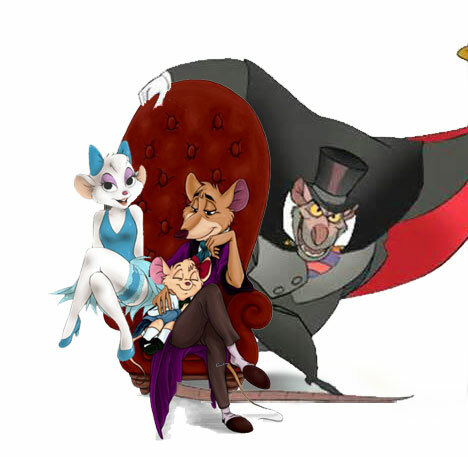 In the silver era, the time of some of the best known Disney Villain’s started. Cinderella’s stepmother, the Queen of Hearts, Captain Hook, and Maleficent are all from this time. But they only have two songs between them, “Painting the Roses Red” and “The Elegant Captain Hook”. There is one notable aspect about those: They are sung by the minions (mostly, Captain Hook has like two lines in his own song). “Painting the Roses Red” serves mostly as an introduction for the Queen of Heart, and “The Elegant Captain Hook” is yet another one of those fun songs in which the villain tries to convince his victims of something. The first villain with a really menacing song is Cruella de Ville – but again, she is not the one singing. She is in fact not even present when Roger launches in a over-the-top description of her (which ends in laughter). Madam Mim is the first villain since Fowlfellow who gets a whole song for herself, but it is not particularly menacing. If anything her desire to like everything bad in the word is amusing. I guess Kaa’s “Trust in me” counts as a villain song, but while the hypnotic tone sounds creepy, the scenes in itself are played for fun. Prince John’s “The Phony King of England” even ridicules the villain of the movie. All in all, during Disney’s dark era a villain who sings is not one we take serious. At least until Rattigan turns up on screen. Not that it isn’t delightful to see him prance through the room, but the scene as a whole mostly serves to demonstrate how dangerous he is (after all he kills one if his henchmen in-between). And his second song “Goodbye, so long” is even played while the hero himself is stuck in a deadly trap. But the song which made the villain song a Disney stable was “Poor unfortunate Souls”. Even though Ursula pretends to offer Ariel a reasonable deal, for the audience it is obvious how manipulative and dangerous she truly is. It’s clearly Ashman’s and Menken’s musical experiences which come into play there. 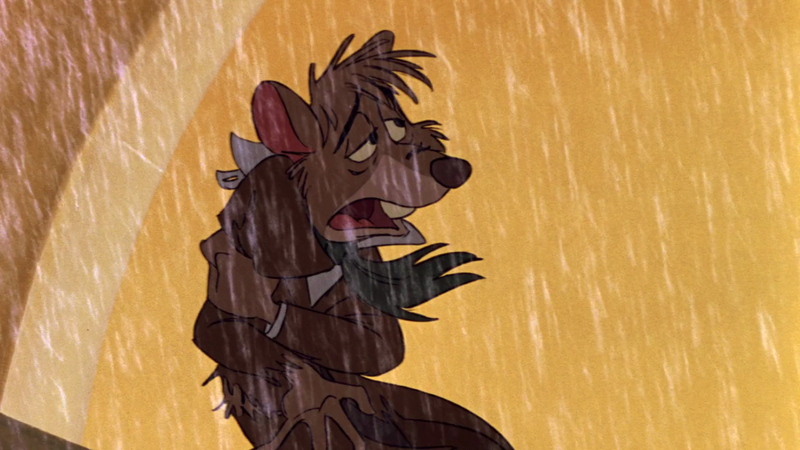 And the success of this song prompted Disney to stick to this concept during the 1990s. “Gaston”, “Be Prepared”, “Mine, mine, mine”, nearly every movie from this point onward had a Villain Song (or had one planned which wasn’t used after all). During the late Disney Renaissance Disney tried to shake up things a little bit, though, and the use of the villain song (or songs at all) became a rarity again and is nowadays mostly linked to the Disney Princess Movies (PatF had “Friends on the other side” and Tangled “Mother knows Best”). The Song though which is the pinnacle of all the Villain Songs is Frollo’s “Hellfire”, and not just because of the impressive music and the use of a Latin speaking chorus. It is a song which allows the audience to delve deep into the psyche of a villain. claims Frollo, but the audience already knows that he is mostly blind to his own sins – the biggest being vanity and self-righteous judgment, which he reveals yet again. 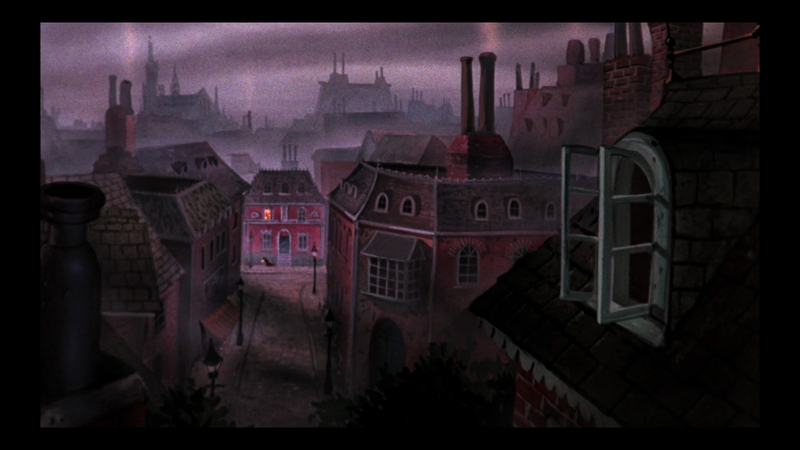 The song illustrates how Frollo fights with what he perceives as temptation. His own guilt is immediately forced away, to Esmeralda (who is clearly the victim in this scenario) and even to God himself. If he allows such a temptation to exist, so Frollo’s crazy reasoning, if he allows devil to wander on earth, it is not his fault that he can’t resist. In he final conclusion he claims that either Esmeralda has to die or to be his and his alone. This song is a disturbing look into the mind of a villain, and the most creepy part of it is the fact that Frollo refuses to see himself as a villain. As fanatic as he is he honestly believes that he is at his core a good man, even though he knows that he will succumb to temptation and do something so deeply wrong. He doesn’t even understand that the “wrongness” in his desire lays not in the fact that Esmeralda is a Gypsy, but in his own obsession. And this is exactly what a villain should do. It should show cast the character of a villain, his deepest desires but at the same time, it shouldn’t slow the movie down but be relevant to the plot. In this case it is relevant because that’s the point from which onward Frollo looses every bit of inhibition. Thus said though – I don’t think that a movie necessarily needs a villain song. It is a good addition, but a creepy score works just as well – depending on which kind of villain you want to create. Shan Yu was certainly better off without one. But I can’t help wondering if some of the post renaissance villains would have been more memorable if they had been allowed to express themselves in song.